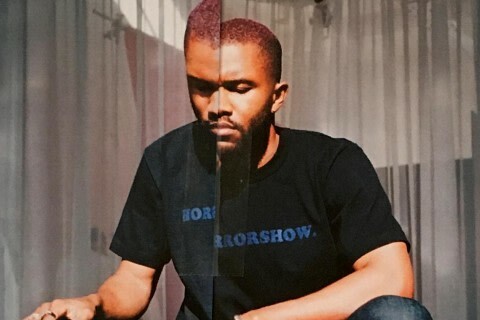 The creator of Spotify’s Dissect podcast tells us what he’s learned after spending hundreds of hours studying Frank Ocean’s work. Cole Cuchna puts Frank Ocean, Kanye West, and Kendrick Lamar on the same level as the classical music legends he spent years studying as a music theory major, and he thinks the rest of the world should too. He's certainly doing his best to bring us there. As the host and sole creator of the Dissect podcast, Cuchna has used his classical training and hundreds of hours of meticulous research to take apart albums like My Beautiful Dark Twisted Fantasy and To Pimp a Butterfly with a level of artistic respect and attention to detail that’s typically reserved for a Mozart concerto. It's impressive then that Cuchna created the first two seasons of Dissect as a late night hustle, working a full-time job during the day and recording the podcast in the evenings after his wife and newborn daughter had gone to sleep. There was no team — it’s always just been Cuchna putting in the work. 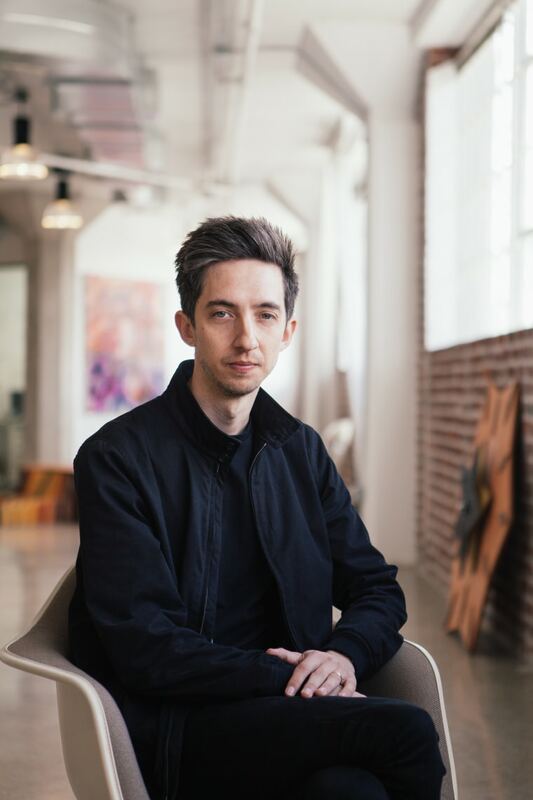 But for the show's third season, which premiered in May, Dissect was picked up by Spotify as part of their movement into producing original podcasts, which finally gave Cuchna the freedom to make Dissect his sole full-time project. And with expanded resources comes an expanded scope: Season 3 takes on Frank Ocean, one of the most enigmatic, layered, and nuanced artists working in pop today. We caught up with Cuchna to see how he approached dissecting a figure like Frank Ocean, what he's learned about Frank that not even superfans might know, and the one thing he'd ask Frank if he ever got the chance. Read on for the full Q&A below. Can you remember the first time you heard Frank Ocean's music? I think I was like a lot of people, and it was on Watch the Throne that I first heard him. All the music that I’m studying now, ironically, came out when I was going to college to study classical music. I was not listening to popular music really at all. So I kinda fell off, in terms of knowing what was relevant at that time. I heard him on Watch the Throne, but I didn’t listen to Watch the Throne when it came out. Not until afterwards. So my view of Frank Ocean is a little bit historic, in that I wasn’t experiencing him in real time. I came to Frank Ocean after the fact. Which in retrospect is kind of interesting because I think that actually helped the show. Because I can look at [Ocean's work], and even though though it’s very recent, I can look at it historically, coming to it as someone would come to an older album, someone that didn’t live in the time it was happening. I liked it. But I didn’t listen to him a whole bunch until just a few years ago, because in Season 1 of Dissect, I started taking requests for later seasons. Of course Kanye was a popular request that I ultimately choose, but Frank Ocean was second, and was clearly the frontrunner in terms of suggestions for Season 3 by like…I mean, even if you combined everyone else in the world, he still beat them out like three to one. Frank Ocean vs. everyone else. So the same kind of passion that listeners and his fans were admitting made me consider his music more than I was at that time. It wasn’t until then that I really really dove into him and came out the other side doing a season on him. I already had loved Kendrick personally, and I already had loved Kanye personally. Frank Ocean was a different experience because I came into him almost as a newbie, and I was pushed to listen to him. Of course, I fell in love with his music and through my dissection came to really appreciate him as an artist on the level of Kanye and Kendrick. But it was all a new experience. What makes Frank's music worthy of such dedicated time and deep focus? His meticulousness is pretty notorious in the industry and that really translates to his music. The stories that he’s telling on Channel Orange are so beautiful, deep and meaningful...and really thought through, which I didn’t catch on first, second, or even third listen. It wasn’t until I really dove into these things that I discovered how complex and intricate his stories are. Then on Blonde, specifically the production was incredible to me. The level of detail that went into the sound of that album just kinda has blown me away as I’m getting into him. It sounds super minimal, but when you really start to listen to all the small details in the production, it’s like….it tells me why he took, it makes sense why he took four years to create this. Because you don’t get to that level of detail without experimenting over and over with different sounds and different versions. I read somewhere that he had fifty different versions for “White Ferrari”. Which just goes to speak on how meticulously and thoughtful he is about his art. That’s what has really struck me about his art. I don’t know if he’s searching for perfection, but he’s searching for a level of perfection that is personal to him. He’s searching for a feeling and an emotion and he’s not going to compromise until it’s perfect to him. That’s been really really great to dig into. Frank has an outsize reputation as an unavailable or mysterious figure. Did that mystique make it challenging to dissect his music? No, not at all actually. It makes it a little harder on my end because there’s very rarely a time when he talks specifically about a particular song. Where in past seasons, Kendrick specifically had a lot of that. It just puts more pressure on me to think and reflect on these songs as the kind of works of art that you would see in a museum. When you walk into a museum, there’s this piece of art just hanging on the wall. Maybe you’ll get a brief description that’s about the artist life in general, not about this specific piece. So really I think about it like I'm walking into an art museum and standing in front of this mural. That’s what Frank Ocean’s songs have become to me, because there isn’t a lot of specific information about them. It’s forced me to really dwell on my own thoughts, and challenges me to put links together where I didn’t have as many clues as I did before. You’ve described modeling the structure of the show after the classic Great Courses lecture series. Would you put albums like To Pimp a Butterfly and channel ORANGE on the same level as the works featured in those courses? 100%. I think it’s hard for some people to view them like that, for a number of reasons. One, history is a great filtering system, so you’re left with only the greatest works of all time. Beethoven, Mozart, these composers have had the luxury of time, and their work has stood the test of time. They make it seem as if they’re on another, unreachable level. What I’m trying to do with Dissect is say “Hey no, let’s recognize these things now. They are on par with those great works of history, we just haven’t had the historical filter applied to them yet. Here’s my best guess at what albums are going to stand the test of time, and why they’re going to stand the test of time." Contemporary times aren’t going to create another Beethoven, because structures have shifted dramatically since then. I think the closest we get to a Beethoven in contemporary music is a Kanye West, or a Frank Ocean, or Kendrick Lamar. The world of classical music is dead, for all intents and purposes. As much as I love classical music...name as well known classical composer right now that’s living. (I cannot - ed.) It’s hard to do. But these people, Beethoven and Mozart in their day, were cherished as great composers as they were living. So that’s kind of what I’m trying to do with Dissect, you know, is reframe people that we don’t think about on that level yet. I’m trying to fast-forward that historical process. I also think hip-hop and urban music in general is not seen as a form of high art. Like to our parents or something. And me basically applying the same analytical skills that I would to a Beethoven symphony to To Pimp a Butterfly is me showing the merit of hip-hop in general, on the same level as symphonic works. You’re a classically trained composer and musician, and you used that training extensively when analyzing Kanye and Kendrick’s music. Does Frank’s music open up with that kind of classical analysis? Definitely. Right now in the season we’re covering channel ORANGE somewhat quickly, but as we get into Blonde I’ll be spending a lot of time on these things, you’ll start to see that come through a little bit more. Why do you think the Blonde rollout—emotional, mysterious, messy—happened the way it did? I think a number of things. I think there was some stuff going on behind the scenes that may have prohibited [Ocean] from doing what he wanted. His relationship with Def Jam is pretty notorious. It’s well known that they signed him, they shelved him, they didn’t prioritize him. The relationship was what an executive from Def Jam described it as a “bad marriage". And I think him releasing Endless, which then got him out of his contract with Def Jam, then releasing Blonde two days later, I think legally there’s something going on behind the scenes that we weren’t privy to that delayed the album. Also, I think Frank was being…I wouldn’t say artistic, but I think the release of the album was important to him, and that he wanted to get it right, and even though it kept getting delayed, it was all on his own terms. If you look back on it now, I think what he did was pretty masterful. The whole livestream thing that really hasn’t been done before to premiere Endless. That whole rollout was super creative and really artistic, so I always think a lot of work went into that. I think it only became such a big deal because he hinted at Blonde being released or done years before it actually came out. And if we didn’t have that missed deadline, I don’t think it would have been as big of a deal. Some artists just take three or four years to put out a new album, but I think it was because we had that seed planted early on it seemed like every day it was adding up and adding up to this delayed thing. What do you know about Frank Ocean that most people, even superfans, probably don’t? Frank Ocean fans are super passionate so they definitely know everything there is to know publicly about him. I think maybe my unique insight is on my interpretation of who he is and what he stands for. Like, the interesting thing that I learned that I didn’t understand going into it was his art and his personal life seem to be aligned into this uncompromising pursuit of truth and authentcity. So you see that in his music and that’s very obvious, Nostalgia, Ultra was written on his own terms, it’s incredibly original. Same with channel ORANGE, same with Blonde. You can’t really compare Frank Ocean to anyone because doesn’t sound like anyone. But his actions in his private life also align towards that uncompromising artistic truth, which was: he was signed to Def Jam and shelved. So he took fate into his own hands and created Nostalgia, Ultra 100% on his own, self-funded, released it on the internet as a mixtape for free. He forced Def Jam’s hands in the (probably) only way he knew he could, which was to create something masterful and to manifest the demand himself through an incredible piece of art, Nostalgia Ultra, which forced their hand and led to channel ORANGE. With channel ORANGE, you have the open letter. And the open letter of course expressed his sexuality and preference before channel ORANGE came out. He was doing that in part because he was trying to get ahead of journalists hearing the male pronouns on the album and speculating if he was gay or not. He basically owned that conversation before it even happened. And I thought that was incredibly liberating for him, and he’s spoken about it being a liberating act in the same way that Nostalgia, Ultra was also liberating. You could also continue that thread into him getting out of his deal with Endless, and publishing Blonde independently. That’s an act of artistic liberation as well. So now he’s an 100% independent artist, he owns all of his own masters, and so I think that just like for me, it’s incredibly admirable what he’s doing. He’s paving the way of being an artist in the 21st century. So his music is authentic, and also his actions are authentic, and it all seems to be aligning towards this place of independence and truth. If you had five minutes with Frank Ocean and could ask him one question about his music, what would it be? Thank you Cole for your time. Season 3 of Dissect, which drills down on Frank Ocean's channel ORANGE and Blonde, is currently underway. Listen on Spotify here.